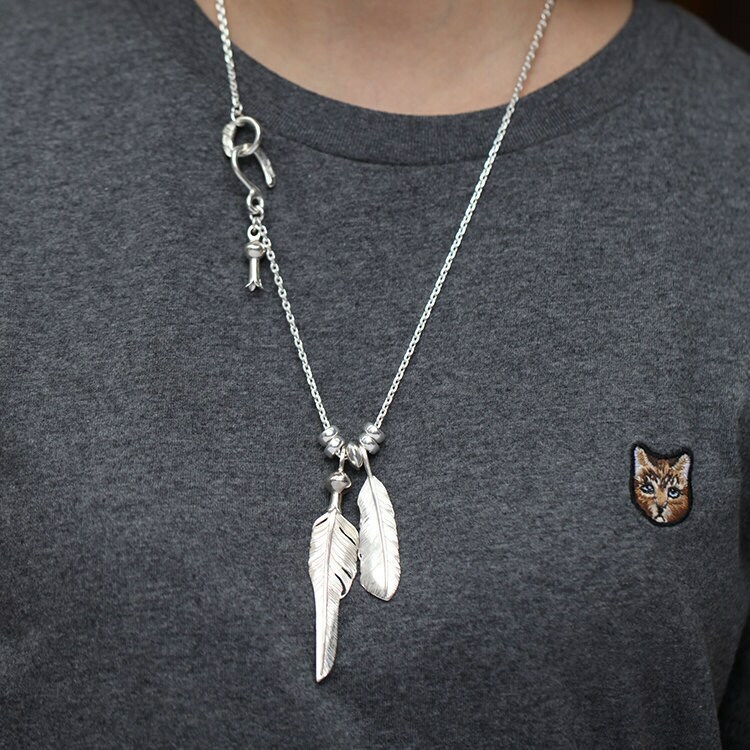 The silver feather necklace is an elegant tribal necklace - with a design inspired by Native American jewelry. 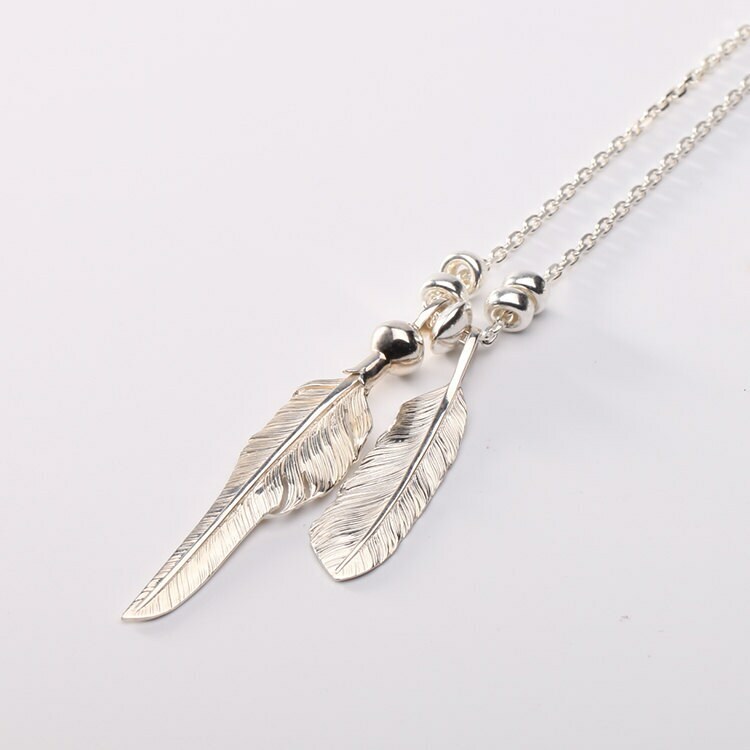 Two silver feather pendants are the highlight of the necklace. The feathers are of different sizes, and in different shapes - signifying different eagle feathers. 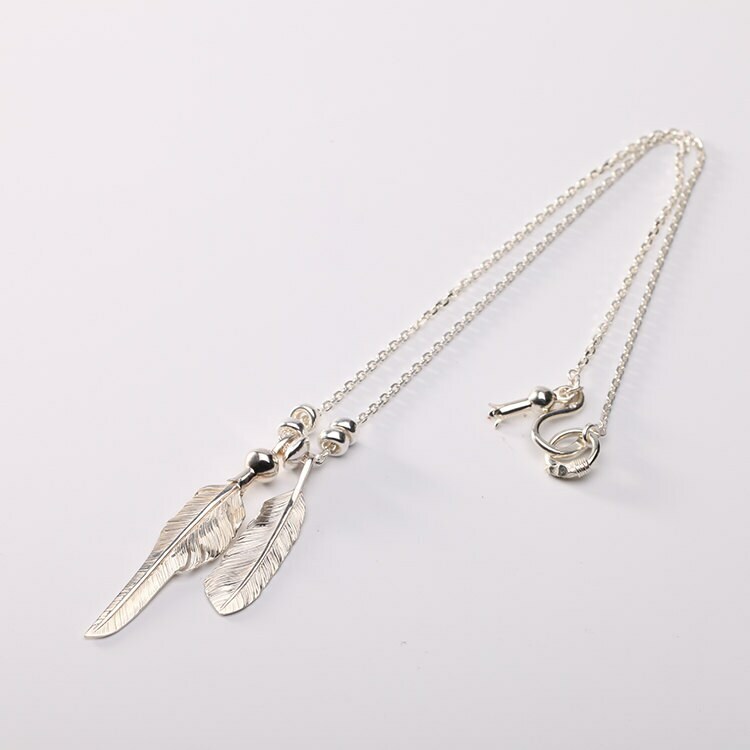 The feather pendants are arranged with silver spacer beads to add weight and heft to the chain necklace. One of the feathers has a squash blossom embedded in its quill. Another squash blossom charm forms the part of the necklace closure - attached to the hook and loop clasp. The chain hook is shaped liked an stylized silver eagle head. 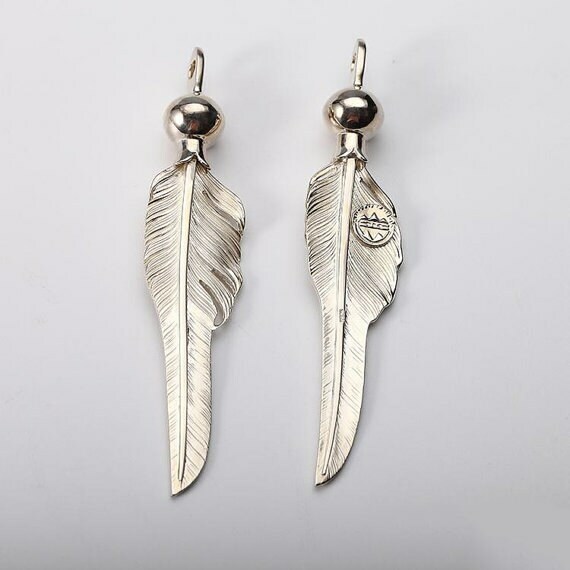 This is a complete silver feather necklace set. 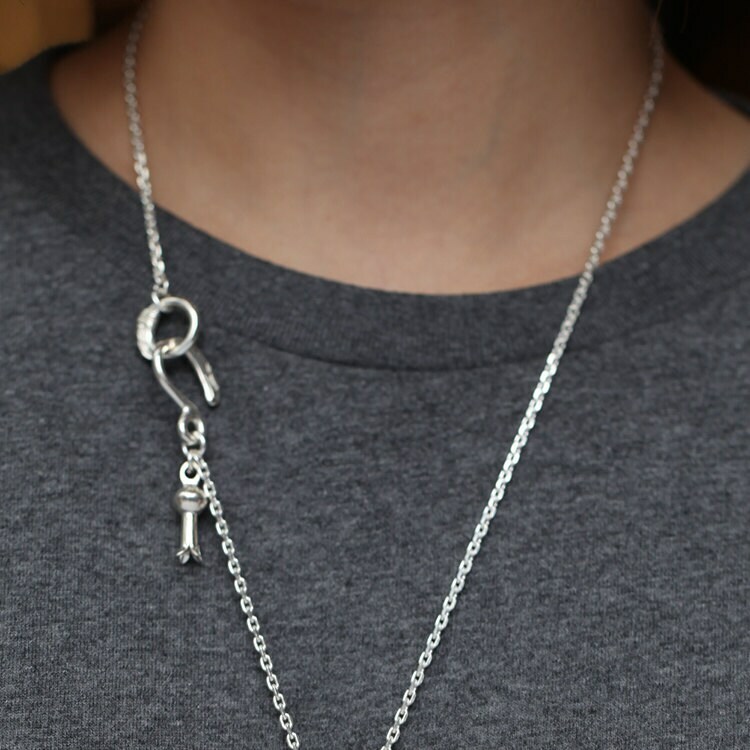 You can also buy the parts separately, and mix and match to create a completely customized necklace.